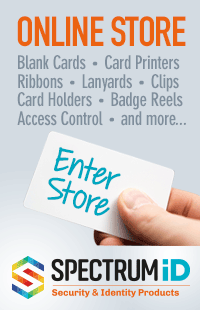 Over many years we have become accustomed to using magnetic stripe cards for access control and other services. Now we have circuitry built into the cards which allow access via an electronics reader as with a proximity card. This type of card is now superseding in some areas such technologies as bar codes and magnetic stripe; although they are still widely used. 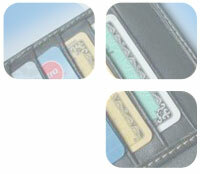 On the printed surfaces of our card we have the ability to have many technologies all on one card. Sometimes we may require more than one type of technology to be able to gain access to or gain use of buildings or computer hardware such as computer terminals or even more traditional machines such as a photocopier. We all expect a photograph on our ID card and also text in a variety of fonts informing us of the basic details of the card issuer or company and the name of the holder of the card. This information could be printed onto a piece of paper, but it does not have the professional look of a quality produced plastic ID card. Cards which have a hard working life, by being regularly handled may have additional protection to the print services by the addition of an over laminate. The over laminate may be clear or it may have intricate patterns embedded into the laminate to assist in providing that essential extra level of security and wearing ability of the card. Prior to the addition of a laminate the original surface of the card may have a ghost image that is a copy of the holder's picture which has been altered to appear very faintly in the background of the card. It may have embedded Holograms, Bar code, PDF symbologies, Colour shifting inks, UV printing Guilloche patterns, Micro & Nano text Holoimages. New features that are becoming available and the ones that are currently available are amazing. When you think that they all exist to add value to that little piece of plastic in our pocket. For the individuals and companies who wish to enhance their green credentials, there is now available a range of biodegradable ID cards. Where is the limit of the technologies that may be used with an ID card, who knows? Certainly not me.